The time for hesitation has passed. The 2014 NFL season is around the corner, and FanDuel is pulling out the stops with its NFL Kickoff Bash. There’s $5 million at stake. If you haven’t yet registered an account, you’re about to miss out on the industry’s biggest opening week in fantasy football. If you’ve been sitting at the sidelines because you feel like you don’t know what you’re doing, you’re not alone. That’s the reason I created this site. Its purpose is to give you the tools you need to compete in – and win! – weekly fantasy football contests. But you can’t win unless you play. So here’s a quick guide to getting started. I’ll take you through the entire process, step by step. You could be competing for a chance to win huge cash prizes within the hour. FanDuel continues to be the most exciting daily fantasy sports site. Its NFL Kickoff Bash is just one more reason to join. There’s also a generous 100% match sign-up bonus on your first deposit (up to $600) to sweeten the pot. 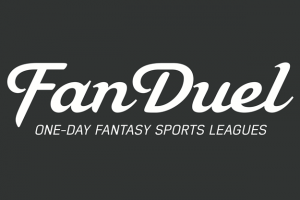 Even if you don’t feel ready to compete yet, visit FanDuel and register your account. It takes less than 3 minutes, so there’s no reason to put it off. You don’t have to fund your account at the time you register. But it’s a good idea to do so while you’re there. The simplest way is to use your credit card, debit card or Paypal account. Again, DK will match your deposit, dollar for dollar, up to $600. The first thing you’ll notice in the lobby is the variety of contest formats. You’ll see huge tournaments that seem like free-for-alls with thousands of players and huge guaranteed prize pools (GPPs). You’ll also see head-to-heads (H2Hs), where you compete against a single opponent. 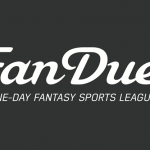 FanDuel also hosts 50-50s, freerolls, and leagues with anywhere from 3 players to thousands of them. It can be a little overwhelming, especially on your first visit. Decide upfront which formats you’ll focus on. Large-field tournaments are tough to win, but a lot of fun to play because of the huge prize pools. It’s much easier to cash (win) 50-50s. Head-to-heads are fun if you know what you’re doing; novices should avoid those shark-infested waters – at least until they get some experience. If you have a million-dollar trust fund, you’re probably not too concerned about losing money. For the rest of us, setting a daily budget is critical. It’s easy to lose track of how much money you have at risk once you start competing in several fantasy football contests each day. Setting a budget goes a long way toward helping you manage your bankroll. What’s an appropriate daily budget? That depends entirely on you. If you’re starting out with $1,000, you can afford to have more money in play than if you’re starting out with $100. The best approach is to choose a percentage – for example, 15% – of your bankroll. Part of drafting a solid lineup entails knowing how to leverage players’ strengths. That’s where being familiar with DK’s football scoring system comes in handy. By knowing how many points are earned for each play – e.g. interception, rushing TD, reception, etc. – you can build a highly-productive roster. For example, DraftKings awards 1 point for each reception. FanDuel only awards half a point (0.5 points). That means your wide receivers have added importance at DraftKings. If you draft someone like San Diego’s Keenan Allen, who was extremely productive in 2013, you stand to benefit from his continued high production. Get comfortable with FanDuel’s scoring system. Learn to use it to your advantage. Notice that DK requires you to fill a FLEX slot while FD requires you to draft a kicker. A FLEX player can be a running back (RB), wide receiver (WR) or tight end (TE). Those options give you a lot of flexibility. DraftKings used to require a kicker. It changed that rule in 2014. 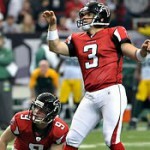 When it comes to daily fantasy football, the kicker just isn’t that important. Most players fill the slot almost as an afterthought. Thus far, getting started in weekly fantasy football has involved very little work. You can complete the previous 5 steps in less than 15 minutes. Step 6 takes more effort. Here, you want to come up with a procedure to follow every time you enter a contest. That procedure will dictate the type of research you perform. It will also ensure that you don’t overlook something important. You might also want to compile data that point you to good values. That effort may include doing simple things like looking at a QB’s passing and rushing yardage last season. It could also include building complex algorithmic models that spit out lineups with the highest projected points per dollar. The main point is that you need to come up with a process you can follow each time you compete in a weekly fantasy football contest. That’s the best way to stay consistent. Keep in mind, your process is going to be different than mine. As you gain experience, you’ll tweak yours to generate better results. 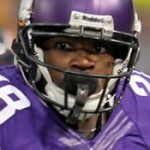 Go into weekly fantasy football contests with realistic expectations. Otherwise, losing will seriously dampen your enthusiasm. You may have read about players who have won six-figure payouts at FanDuel. Other players are reportedly making a comfortable living playing daily fantasy sports at the site. Can you do the same? Sure. Anything’s possible. But be prepared to invest time and money learning how to draft high-volume lineups. Don’t expect to start winning right out of the gate. Be prepared to take losses. The important thing is that you learn something from the experience. When you lose a contest, examine the lineups of those who won. Try to figure out the reasons they drafted certain players. An overlay happens when fewer people than expected show up to join a guaranteed prize pool tournament. The DFS site must make good on its promise to pay out the guaranteed amount. If the entry fees for the contest fail to equal that amount, the DFS site must make up the difference. 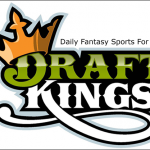 For example, DraftKings is hosting an NFL Sunday Million tournament during early September. The contest is part of its NFL Kickoff Bash for the opening week of the 2014-2015 NFL season. There’s $1 million at stake. Each of the 5,555 entrants that are expected to join need to post a $200 entry fee. Suppose only 4,000 people show up for the Sunday Million. Their entry fees would only add up to $800,000, well below the tournament’s GPP amount. DraftKings would need to add another $200,000 to the pot to make it whole. That overlay means you’ll be facing less competition. Your odds of winning will have miraculously risen despite no effort on your part. It’s worth noting that big overlays in GPP tournaments are rare. If you see one, hold off before rushing in. It’s likely to vanish in the few minutes leading up to the contest’s first kickoff. As a general rule, if you’re just getting started with one-week fantasy football, it’s a good idea to avoid the large-field tournaments. They’re too difficult to win. Having said that, a big overlay may justify deviating from your normal strategy. To recap, head over to DraftKings and register your account. Make your first deposit and use the promo code FREAK to lock in your free 100% match bonus. Remember, the only way you can win cash prizes is to join a few contests and learn by experience. Wondering where to get started in weekly fantasy football contests? Check out Fanduel now. They offer great contests and payout immediately!